Are You Ready for the ALF? -Be extremely careful about who to trust. It only takes one weak link to get you all in jail. -FBI agents will pretend to be activists, will only eat Vegan, will offer to pay for some expenses and even offer you housing, and even encourage direct action or try to get you to take direct action with them. Of course you can rarely be completely sure if someone can be trusted, but use your best judgment, and only trust someone who you have known for a long time. -There are government agents who have infiltrated the movement, and exist within the movement for the sole purpose of sabotaging activists. These people exist within groups like SHAC and PETA, as well as most likely outside of groups. They will attempt to infiltrate cells, or link up with potential activists, make them do something illegal, and report them. To avoid getting tricked by one of these people, it is advisable to work with a long-time friend who you have known since well before you got involved in the Animal Liberation movement. For more information, read this article. -Approach the subject of direct action slowly. First casually find out if the person supports it, and try to do your talking outside, and without cell phones or other people nearby. Even at this early stage, you should only choose people who you have known for a long time and trust completely–it only takes one small mistake, intentionally or unintentionally, to send you to jail for years! -Only trust Vegans who are very committed to Animal Rights and Animal Liberation. Someone who is not willing to do the simple act of giving up food and clothing, etc., to save innocent lives is obviously not dedicated enough to the movement, and will likely turn on you/your friends/the movement. -Avoid working with alcoholics, drug addicts, etc. They are too likely to, accidentally or intentionally, give out information. Even if they are normally very trustworthy, they might say too much when they’re drunk. -Avoid working with people involved in other illegal/criminal activities. If they are caught for unrelated activity, they can, will, and have snitched on cell mates to reduce their sentence. -Avoid working with people who like to brag, talk to much, etc. They’ll have a hard time keeping quiet. -Do not trust someone just because they are willing to do something. -Make sure that your and your cell members’ companion animals will be taken care of should you go to jail. Don’t tell anyone that you are doing something illegal, but decide ahead of time who you will have take care of them should you be arrested, and make sure it’s someone who has a key or knows where a hidden key is in case you are not able to get it to them before going to jail. -Don’t trust anyone completely. Operate on a need-to-know basis. More under “Security Culture”. -Make sure everyone in your cell reads this guide, knows how to stay secure, is familiar with laws and interrogation techniques, and knows what to do if approached by law enforcement or arrested. One of the most important steps towards getting involved in direct action is finding people to work with. In any ALF action you are putting your freedom on the line, so you must be positive you can completely trust the people you are working with. It is essential to find people who will not sell out you or the movement should an arrest occur. You should always work with people who you know well and have for a long period of time, people who you know you can rely on. Security is an important issue in direct action, so people with a tendency to brag or who won’t be able to keep their mouth shut are a bad idea. Starting your own cell is better than joining an existing one, since if you know of an existing one, their security obviously isn’t too good. Asking someone if they want to get involved is never an easy thing to do. Bring up the subject in a general way and see how the person feels about direct action first, and move on from there. Cells usually consist of 2 to 5 members. Use the minimum number of people needed for each action, but don’t forget the importance of look outs. Having extra people unnecessarily puts them at risk. One person should be chosen as the leader of the group. This doesn’t mean that person has any special power or privileges, and it often wont come into play at all. But if during an actions things go wrong, someone will need to make split second decisions, and in this case there is no time for democracy. Progress as a group, starting with minor actions to get used to each other, discussing after each action what went well and what didn’t, and discussing how to improve and hit harder. Make security your number one priority. You can do the animals no good if you’re sitting in jail. -Only have as many people as necessary per action. Extra people make it easier to get caught. -Operate on a need-to-know basis. If someone doesn’t know something, they can’t reveal it (intentionally or unintentionally). -If someone in your cell does anything to compromise security, doesn’t take security serious enough, etc., take them aside and explain to them (privately) why they can’t do what they are doing. Don’t try to sound like you’re better–make sure you sound helpful and like you have their best interest in mind. –Lying: An activist might claim to have done something illegal to impress others. Of course the police won’t take it as a lie. –Gossiping: Some people have a hard time refraining from accidentally giving out information. Avoid them–they are a danger to you, your cell, and the movement. –Bragging: Some people will brag about an action to friends/family to sound good, be accepted, or because they think they can make friends by having secret information. –Indirect Bragging: Some people will hint at having done an action for the same reasons as directly bragging. This is very dangerous, as law enforcement is extremely good at gathering information. -If they don’t stop compromising security after being talked to about it, you have to let them go. They are too much of a risk to you, your cell, themselves, and the entire movement. -Put personal issues aside. If you have an issue with another member of your cell, maybe it’s best for everyone that you leave, or at least talk out your problems. There is no room for personal feelings to get in the way of an action. -Do not talk about your actions to anyone after they have been carried out. A large percentage of ALF and ELF activists who have been imprisoned have been because of snitches. There is also the risk of someone eavesdropping on your conversation (the government is excellent at this). And if you tell someone who is not involved in the action, even if they are trustworthy, they might mention it in passing or accidentally give just a little too much information when pressured by police or FBI. What they don’t know, they can’t reveal. -Develop the ability to keep silent. This means the ability to refrain from bragging to friends/family (even if you trust them, and even if they ask). This also means the ability to remain silent under intense pressure, including threats, from police and FBI. Most threats from law enforcement are empty threats. -If you know someone who doesn’t fit the above, who doesn’t have what it takes to remain silent in absolutely every situation, don’t work with the person. It’s too much of a security risk, and a security breach means you, your friend, and other friends go to jail. This also means you don’t get to save any more animals because you’ll be in jail. -Snitches are often the way activists get caught. The FBI will make a former activist wear a wire and try to get information out of old friends. If someone brings up an old action, don’t say anything that you wouldn’t want the FBI to hear, and consider whether that person is possibly an informant and should be put out of your cell. -Even if you trust them completely, there is the risk of the government tapping a phone, etc., so if you absolutely have to talk about a past action, take the same precautions you would if planning a current action. Keep in mind that investigations will last up to years. -It is never okay to talk about your participation or someone else’s participation in illegal activities, your plans or someone else’s plans for future illegal activities, your desire or someone else’s desire to get involved in illegal activities, or someone else’s advocacy for illegal activities. It is also not okay to ask someone else if they are involved in illegal activities. The only exceptions are when you are planning with your cell in a secure location and when submitting an anonymous communique. Don’t talk about an action just because you get caught–there still might not be solid proof, so you could still get off the hook if you don’t talk. Admitting to it could also help the government track down other members of your cell. -Don’t give out names to ANYONE (government or not) under ANY circumstances. Even if you are only being asked about aboveground activism or even something as seemingly harmless as who your friends are, SAY NOTHING. Remain silent and TAKE NO RISKS. -If you send out a communique via internet, research internet security/anonymity, and refrain from using the same writing style and phrases you typically use. (i.e. if you commonly say “Go Vegan or die!” don’t put that in the communique.) You may even want to use bad grammar/capitalization/punctuation if you normally use good and vice versa. You will want to use PGP, or use a public internet service, be out of view of security cameras, and make an email account and never use it again. Use a different password, name, address, birthday, etc. as your real information and other accounts. Be sure you have no keyloggers or screenloggers on your computer. -If you send a physical communique (recommended, as government is good at hacking), don’t use your normal handwriting. Use block letters in all capitals and with no curves. Click here for an example. -Wear latex gloves and cotton gloves (DNA can go through either one alone) to avoid contaminating letter or envelope with DNA, don’t lick the stamp, don’t include personal info (letters are sometimes intercepted), mail it from a public drop-box far from home, and try not to be seen on a security camera when you put it in. Make sure there are plenty of stamps, and no return address or a fake return address! -Use very basic stamps and envelopes, or buy stamps and envelopes just for that communique and dispose of the rest (be careful you aren’t seen disposing of the rest). Pay with cash and burn the receipt. It’s worth it to be a little wasteful if it means staying out of jail and continuing to be an activist. -Only send communiques to groups like NAALPO and Bite Back. If you send it to the media, the police will try to trace it (through various means such as forensics, handwriting, and computer tracing) and might succeed. Also, media coverage is biased against Animal Liberation and gives it a bad name. Better to just give it to the Liberation news sources. -If you send a communique, consider naming the action in honor of activists who are currently imprisoned (specifically those with the longest and most outrageous sentences, and who have a large portion of their sentence ahead of them) or who have been starved and/or murdered. This will turn the FBI off to giving out such long sentences because they will fear more “sympathy actions”. You could say that you will continue to take action in honor of this person/people as long as they are imprisoned, possibly giving them an early release. -Make sure everyone in your cell knows what they’re doing–it takes only one person to make one small error to make the mission go wrong, and very possibly get your whole cell in jail. -Make sure everyone in your cell knows the security issues, what to do if encountered by law enforcement, etc. -Everyone in your cell should make an agreement not to give out any information that could harm other cell members. Keep in mind that the police might say they’ll give you a lighter sentence if you turn them over, but it’s not necessarily true, and how will you feel if your friend goes to jail because of you? Also, if your friends stay out, they can continue to take action and save more lives than if you all go to jail, even for a shorter time. -Respect your cell members. If someone only wants to liberate, graffiti, and glue locks, but wants to avoid arson and fire because of heavier charges, respect that. You’re all doing infinitely more than most humans, and you’re all heroes. And in many cases, it’s tactically best to avoid arson in case you get caught and jailed, preventing future activism. -Do all planning in real life, don’t talk in or near the home or vehicle of yourself or any other ARA, and do not have any cell phones or other electronic devices near you. Make sure no one else has a phone or other electronic device. Preferably be outside in the country far from anything human-made. -NEVER DISCUSS DIRECT ACTION VIA EMAIL, INSTANT MESSAGE, PHONE, OR OTHER ELECTRONIC ELECTRONIC MEANS. The government hacks into the conversations of activists, and activists have been caught this way. -If possible, plan in a new location for each action, and even for any single plan if you have several planning meetings. If you’re always at the same place and the government suspects you, they might put a device in the area (way too small and hidden to see) that will record what you say. Don’t put it past them to find out where you meet and plan, even if it’s far out of town. Better to be over-cautious than imprisoned! -If you have to plan in public, stay outside and keep walking so you’re harder to monitor. –Do not plan anything inside a building or vehicle, no matter what. -Government can track the given location and speed (if in a moving vehicle, etc.) of a cell phone. They can also listen to phone conversations and listen to conversations going on near phones (cell and land line), even if the phones are off, and even whispers. They do not need to physically access your phone to do this–it can all be done remotely. -Government has various ways to eavesdrop on conversations in houses and cars, including whispers. -Government can trace e-mails, instant messages, forum posts, etc. to their computer and internet provider, even if fake addresses/accounts are used. -Government has been known to open mail. This is especially likely if they know that you are a Vegan/ARA, even if they have no reason to believe you are part of the underground. -Don’t say anything over phones, computers, etc., even if if you use code words; it’s too dangerous. Some activists were convicted in part because of a text message on one of their phones that said “Could be a while, the bees are buzzing” implying that the police were buzzing near the place of action. The government will decode your slang. The government will also decrypt secure information transfers. -If you are an ARA, or even just a Vegan, the government is already likely monitoring you–the FBI even goes so far as to infiltrate Vegan potlucks! -I suggest reading all of the topics in the security forum at the ALF forum. Also, look through the various articles on the site. It’s better to spend a few hours reading about your legal rights and security than to spend years in jail (not helping animals!). -Be overly cautious. Caution is key. Be obsessively secure and make sure there is no one around when you carry out actions. -Don’t get caught. If there is a high chance of being caught, don’t take the risk–you’ll do the animals no good if you’re sitting in jail! Infiltrators attempt to get information about organizations, disrupt them by creating splits and disorganization in meetings and in individual’s lives, and entrap activists by urging insecure illegal activity. They often disrupt groups, ironically, by promoting destructive witch hunts for infiltrators! Carefully check out the authenticity of any disturbing letter, rumor, phone call etc. before acting on it. Ask the supposed source if she or he is responsible. Don’t try to expose a suspected agent or informer without solid proof. It generally works better to criticize what a disruptive person says and does without speculating as to why. Avoid entrapment by only doing illegal direct action with people you know well and trust. Avoid government-sponsored splits in movement groups by dealing openly and honestly with differences within our movements in race, gender, class, sexual orientation, etc. before the FBI can exploit them. -Whether at an above-ground protest or underground direct action, don’t bring anything that can be used to identify you or your friends, such as a wallet, jewelry, address book, ID card, etc. Jewelry can be seen if you wear it, and any of these things could be dropped. Leave these things, along with cell phones and other electronic devices, at home. If you are married, you should take off your wedding ring and leave it at home in case you lose a glove. Make sure your pockets are empty. -In some situations, it is a good idea to wear a mask or bandanna and hat at above ground protests because FBI and police have been known to spy on protests and make logs of protesters. However, it is illegal to wear a mask in public in states Virginia, North Carolina, Georgia, and Florida. International (non-united states) laws vary. -Since shoes are more unique than hoodies and sweatpants, they are of more concern. Buy cheap plain black shoes with no logos shortly before the action. They will be burned after the action. Only buy one pair at a time. Replace as needed. Pay with cash and burn the receipt. -Be very careful that you can’t be identified. Wear a ski mask (preferably black and only eye holes), plain clothing (long sleeves and long pants) with no logos, plain shoes (purchased specifically for the action, and leather-free), and no jewelry or watches, etc. showing. -Hoodie is recommended so you can wear ski mask AND hood, especially if you have long hair or need a hood to cover a headlamp, but a long-sleeved t-shirt is also acceptable. Do NOT rely on your hood–a ski mask is a necessity–as it may get snagged and fall down, or fall down if you have to run from police/FBI or if it’s windy. -Don’t wear clothes with tears, stains, etc. They can be used to identify you. -If you have tattoos, injuries, scars, or anything else that can identify you, make sure it is covered. Avoid getting tattoos in places like wrists and ankles in case your sleeves slide up, etc. -Make sure that if you have long hair, it is under your mask and shirt. You don’t want it seen on security cameras, and you definitely don’t want any falling out at the place of the action. -Wash your clothes and tools before and after the action. You don’t want any hair falling off your clothes and being traced (another reason to make sure your mask fits well) and you don’t want DNA from your gloves if you sweated last time you wore them. You also don’t want any evidence of the action on your clothes. -Wear a mask with eye holes only (and separate holes rather than a slit). This makes it harder to be identified and also makes it harder for the mask to slip or stretch. -Put your headlamp over your ski mask, and put your sweatshirt hood over the headlamp. This way your headlamp can not be seen as easily be security cameras, and so is harder to trace to you. -If you are not of the same skin color as most people in your area, don’t let yours skin be seen. Wear sunglasses, and preferably not the same style you normally wear. Make sure they can’t fall off, as they might have hair or sweat that can be DNA traced. -Wear electrician gloves, or latex gloves under cotton gloves (preferably with rubber grips, and very basic–no patterns or logos). Sweat, containing DNA, can soak through cloth gloves and latex gloves, so you are best off combining the two. Latex gloves and plain cloth gloves are usually best, as they are harder to trace because they aren’t unique, however if you have to cut through electric fence, climb barbed wire fence, etc., electrician gloves might be necessary. If you are at risk of being bitten by a frightened animal, wear gloves that can’t be penetrated by teeth because if you bleed, you will leave behind DNA. -Wear basic tennis shoes or boots that can’t easily be traced to you. Burn your shoes/boots as soon as you can after the action–Unlike sweatshirts, pants, etc., shoes are way too varied–from footprints to designs–and it’s not worth the risk to save a little money. Make sure the shoes fit tight and have very good support in case you need to run from police. Make sure they are solid black, black laces, and no logos in case you are seen with them before the action or can’t burn them immediately afterward. -You might want to wear watches if there is any risk of your cell getting split up so you know when to meet, and when to go looking for each other. Synchronize the watches beforehand. -Make sure you bring all the gear you’ll need. Some things to consider are vehicle with full gas/petrol tank, spare keys, spare tires and other items should your vehicle break, headlamp, flashlight, wire cutters/bolt cutters, lock pick (for gate or door), superglue (with cut up paperclip pieces for added effectiveness in gluing locks), spraypaint, hammer, sledge hammer, axe, pickaxe, saw (lab doors), chainsaw (lab doors), drill (lab doors), buzzsaw (lab doors), crowbar (lab doors), money to bribe witnesses, petrol/gasoline/explosive, watches, first aid kit, compasses plastic bags for disposal of equipment/clothing, walkie talkies (careful–law enforcement may pick up frequency if they are in the area), radio scanner (to monitor local and state law enforcement frequencies), radio frequency detector (to detect tracking devices), GPS blocker (to block tracking devices), binoculars, unmarked detailed road map (if you mark the location it can be used against you), detailed unmarked map of action location, a backpack to carry everything (good quality that won’t rip, basic design with no logos, black), and cages to put rescued animals in until you can get to woods/field. Make sure all is very basic/untraceable gear, and dispose of it if you have to. Be careful when disposing of it that you aren’t seen by people or security cameras, put everything in plastic bags, and use separate dumpsters. Burn what you can, especially unique gear like shoes and backpacks. Keep in mind that your clothes, especially shoes and gloves, will have residue from soil, etc., so even generic gear should be burned. At very least, wash your clothes immediately before and immediately after the action. -Do not rely on radio frequency detectors or GPS blockers. Use them as added precautions, but take the same other precautions you would if not using the detector or blocker. -Only bring the gear that you really need. Extra gear weighs you down, is at risk of being left behind and traced to you (even if it’s generic–DNA). Travel light. -Bring small gear if possible. For example, go with a smaller wire cutter that can be easily carried and concealed if possible. Not as easy to see by security cameras, witnesses, or police (through car windows as you drive to/from action). -Arrange ahead of time who brings what supplies. -Don’t wear clothes with the ALF logo. Partly because they can be used to identify you if you are found in possession of them and partly because they link you to the ALF, giving you a longer sentence. -If you buy supplies (mask, wire cutters, spray paint, superglue, headlamp, lock pick, sledgehammer, etc. ), buy everything at separate locations and pay with cash. -Be careful of how you dispose of items. Don’t throw a bunch of ski masks, wire cutter packaging, and black sweatshirts all in the same dumpster. Burn the wire cutter packaging and wrap the ski masks in plastic bags. Throw them in various dumpsters so they are harder to be traced to you. Objects found in dumpsters have been used against activists. -Don’t leave suspicious items laying in your house or car. Don’t hide it either–that’s too suspicious should your house/vehicle be searched. Keep your mask with other winter clothes, your wire cutters and hammer in the garage with other tools (buy other tools if you have to, just to make it less suspicious! ), put your superglue in a drawer with scissors and other stuff, etc. -Do not bring a cell phone, and make sure no one else does. Most cell phones have built-in GPS tracking devices, and many of the tracking devices work even with the phone off and without the battery. -Before even making plans for an action, make sure everything is in order in case you get arrested. If you have companion animals (“pets”), make sure there is someone who will be able to take care of them if you get arrested. This does NOT mean telling someone you are going to take direct action or making any plans ahead of time–just decide upon a few people to talk to IF you get arrested. These should obviously be people who are not involved in direct action, not at risk of arrest themselves, and preferably not heavily involved in the Animal Liberation movement. -Do a LOT of planning. If you don’t do your first action until a few months after forming your cell, that’s fine. Let everyone have time to get supplies, get information, etc. -Make your plan as foolproof and secure as possible, but don’t think it’s perfect–there is always some amount of risk of getting caught. -Do all planning in real life, don’t talk in or near the home or vehicle of yourself or any other ARA, and do not have any cell phones or other electronic devices near you. Make sure no one else has a phone or other electronic device. Preferably be outside in the country far from anything human-made. DO NOT TALK IN A HOUSE OR VEHICLE. See “Security Culture” for more on this. -Read this direct action account to get an idea of what a real action is like. This is a must-read. Make sure everyone you are working with reads this. Pay VERY close attention to every little detail. -Watch videos of direct action (search “Animal Liberation Front” on YouTube) to see what it’s really like. I recommend this video. -Decide exactly what you want your action to achieve before working out the finer details. Make your action as effective as possible. Factor in cost/resources, risk of getting caught, and how long of a sentence you will get if charged. (For example, don’t arson if you can do the same amount of damage without fire. Arson sentences are very long.) Don’t waste resources and don’t take needless risks. -Make sure the benefits outweigh the costs and risks. If you burn down a hunter’s lodge, you risk killing insects, rodents, and companion animals in that lodge, and even setting the surrounding area on fire. If you do something that you are likely to get caught for, you might go to jail and not be able to help as many animals in the future. If you use your time, money, and/or resources poorly, you’ll end up saving less animals. -Targeting consumers through aboveground outreach is most effective against the food industry because it is such a large industry and so many people are part of it. Aboveground activism can also be very effective against fur, leather, and circuses, as many people don’t realize how much cruelty is involved. -Targeting suppliers through protests and underground direct action is most effective against smaller industries. These include fur farms, animal testing labs, circuses, breeders (including lab animal breeders and puppy/kitten mills), leather farms, and fast food restaurants. For example, there are only a few dozen circuses left, and a single action could shut down a whole circus forever, meaning that it would only take a few dozen actions to end circuses completely. -If you have a hard time deciding what to do, see here for sample actions. -Don’t use more people than necessary, but don’t leave out important positions (such as lookouts). Extra people means more risk of getting caught, more risk of getting separated during the action, and more people at risk. -If you raid a fur farm, you will do far more good if you destroy the breeding cards. This costs fur farms a lot, can cause them to shut down, and oftentimes does more good for the Animal Liberation movement than the actual liberation! -It is especially important to have a minimum number of people involved for actions with a high risk of being caught or heavy potential charges (i.e. arson). If necessary, consider planning the action with a few (highly trusted) people but only have one or two people actually carry out the action. Again, don’t leave out important positions, but use only as many people as necessary. -If possible, keep actions to towns/areas that are not near your home. Go as far away as possible. -If you are staying overnight away from home, do NOT stay at a hotel. Stay at a campsite without many people. -If you are deciding between two similar locations, go with the one that will have a lower risk of getting caught. For example, if you know one doesn’t have much security, go there. -If your target is a testing laboratory, read this prior to planning the action. -Do not contact a company prior to, or after, an action regarding their cruelty to animals (or anything else). It will make you suspicious. The action should be aboveground or underground, not both. -Try to think like the murderers and law enforcement think. Put yourself in their place. The murderers want to keep their identities secret (to avoid activists). Law enforcement will try various tactics to arrest you, even if just for above-ground activism. -Start with low risk actions, such as gluing locks or painting AR messages, or even something as simple as deactivating traps you come across. Work up to mid-risk actions, such as fur farms with minimal security. Wait until you’re very experienced to raid high security labs, as you’re no use to animals/Earth if you’re in jail. -No need to arson, sabotage, vandalize, and everything else–liberation alone is just fine, and doesn’t risk as heavy of a jail sentence or fines should you get caught. -While making and finalizing your action plan, think about how you can beat the system, and keep it in mind throughout the planning and the action. This can be something really obvious and easy, such as wearing a ski mask to avoid security cameras, or something that is a little more challenging like disabling a testing lab’s security cameras and alarms before taking action. -If possible, obtain maps/blueprints of the area/buildings where your action will take place. Don’t do this on your own computer or anywhere that can be traced to you. -After putting together a rough action plan, scout the area. Know the escape routes in case things go bad. Watch for police patrols in the area and make sure they won’t be there during the action. -Do the first scout during day to get a good feel of the area. Check for security cameras, alarms, trip wires, etc. -Don’t cut holes in fences or do anything else that leaves behind evidence during scouting, as doing so will mean that the area will be under very heavy surveillance for a long time afterward. -If your action is to be at night (which it should be), do another scout at night. -Do further scouts if you feel at all unprepared, but try to scout as few times as possible so not to raise suspicion. -Find the best, darkest, and most hidden places along the route to and from the action in case you need to hide. -Don’t wear your underground gear while scouting. Put on normal walking/jogging gear and don’t let yourself look too suspicious. Don’t continually drive/walk past, just make a jogging route. -If possible, don’t let anyone see you when scouting. Hide in a ditch or bushes whenever you hear a car. However, if you think they saw you, you may not want to hide because it will look suspicious. Make judgments on a case-by-case basis. -If possible, monitor the place of action ahead of time (without being suspicious) for police, etc. at the time of night you’ll be taking action. Don’t wear ALF gear. -Either ahead of time or right before the action (whichever is easiest to get away with), look for entrances and escape routes, dumpsters to dump supplies (if possible, don’t put multiple things in the same dumpster), security cameras, alarms, trip wires, best/darkest hiding spots in case you are chased, etc. -Be very careful when scouting and don’t scout more times than necessary and don’t look suspicious. Activists have been arrested because they were seen acting suspicious near their target prior to the action. If possible, do most/all scouting a long time before the action. -For more detailed scouting instructions/advice, see here. -After scouting, refine your plan, and go through it many times with your cell and make sure everyone knows exactly what they have to do. Make the final plan very detailed, but DO NOT WRITE IT DOWN OR RECORD IT IN ANY WAY. -Determine approximately how long each part of the action will take. -Make backup plans in case something goes wrong. Do you abandon the mission? Change tactics? Change target? -Determine where people will meet up if you are forced to split up or scatter. This should be a fair distance away from action, preferably a mile or more. -Include escape routes and escape plans when planning the action with your cell. -Scout the escape route you will be using if things go wrong during the day. It is easy to get disoriented at night. Look at a map and follow the escape route several times. Make sure it’s not too obvious for police to find you at the meeting point, or to follow you as you escape. -If possible don’t park, or even drive, near the place of action, during scouting or during the action, as the government can and has put tracking devices on Animal Rights activists’ vehicles. Consider purchasing aradio frequency detector. (Be careful, as many detectors don’t pick up high-level tracking devices.) You’ll also want to manually check for security devices. Tracking devices have been found in the form of tangled wires and electronics attached to the rear bumpers of vehicles. See here for more information. -Be careful about where you park, be out of view of cameras, and (especially important during the action, as opposed to scouting missions) make sure security cameras and people don’t see you get out of your vehicle carrying gear or a backpack. -Know the hours that the target is open, and be sure no one will be there. Keep in mind there will be janitors, etc. in off-hours. -Do your actions at night, too late for many witnesses to be around to call the police, identify any evidence leading to you, etc. Preferably 2am-4am. -Decide ahead of time who brings what supplies, including maps. -Do not bring a cell phone or other electronic device with you during scouting or the action, and make sure no one else does. Also, make sure there are no cell phones in the vehicle you use, if you use one. -Don’t pressure people (whether or not they are part of your cell or the underground Liberation movement) to take action if they are tired, sick, stressed, etc. DON’T RISK YOUR SECURITY AND FREEDOM. -When buying supplies, be careful not to get fingerprints on it. If it’s fall or winter (and not suspicious), buy items with gloves on. Pay with cash and burn the receipt. -Wash the supplies well when you get home and only touch them with gloves on. Wash your clothes and supplies immediately before the action. -If anyone feels unprepared, unsure, or there are any loose ends, take care of that, even if it means postponing or calling off the mission. -If anyone in your cell is sick, injured, recovering from sickness or injury, or even just tired/unalert, or could in any other way hinder the action, CALL IT OFF. It’s not worth the risk. Yes, you can save animals, but if you mess up and get caught, you’ll not be able to save nearly as many in the future. Don’t take any unnecessary risks. -If anything at all falls through, you get new information that interferes with your plans, or anything else, postpone or call off the action. DON’T RISK ARREST. -If plans fall through and the action is called off or doesn’t go according to plan, don’t dwell on it. Activists say that most planned direct actions never even happen because something comes up. Don’t let it discourage you–simply revise your plan or make a new one. -If you have to call off the action at the last minute (i.e. while you’re driving to the action with other activists), do NOT talk about the action in the vehicle. Don’t say that you’re calling off the action, just turn around and tell people why later. Make sure everyone understands ahead of time that if the driver takes a wrong turn or turns around, do NOT talk about it or ask and questions until you’re out of the vehicle. -Before the action, make sure there is nothing lying around your house you wouldn’t want the FBI/police to see. Try to put it somewhere that it won’t be found if your house or vehicle is raided. This includes maps, plans (very bad idea to write them down, and bad idea to mark locations on maps), direct action guides/manuals, diaries, and personal things like address books, drugs (activists shouldn’t use drugs anyway), etc. -If you print this guide, or any direct action/Animal Liberation information or a map, refrain from marking it in any way (such as marking the place of action or a route on a map, highlighting the details of a guide specific to your action, etc.). This is too obvious should the papers be found. -Don’t go to Animal Liberation, Earth Liberation, or direct action web sites for a few days before and after the action, especially if you don’t normally go to those web sites. Try to avoid opening any guides right before the action. -Get lots of sleep the few nights before the action. You won’t get much, if any, sleep the night of the action prior to taking action, and you need to be fully awake and alert. -Prior to the action, check your clothes, shoes, gear, etc. for tracking devices. Manually search and, if possible, use a radio frequency detector. -Leave time between actions. The police are going to be watching local activists hard after an action, and will notice who’s out the night of the next if it’s shortly after. The police have been known to watch a given activist for months at a time and to follow activists long distances. If there are a lot of Animal Rights activists in your area and/or if the action is far from your home, this is less important, but still important. –Don’t bring a cell phone, or any electronic device, and make sure there are none in your vehicle. Leave them at home. -If using a vehicle, make sure it is full on gas/petrol. Make sure that headlights, tail lights, and turn signals work (not using them would give police a reason to pull you over). Use a vehicle without bumper stickers. -Make sure that you aren’t being followed by police or FBI when you drive to and from the action. If you are being followed, call off the action, because if you go to jail you can’t help animals or Earth for a while. -Make sure your gear fits tightly. Tie shoes tight so you don’t trip on laces and have good support, especially if you need to run. If you wear a hat, make sure it won’t fall off. Make sure your sweatshirt hood won’t fall down if it’s covering a headlamp. Keep backpack zipped all the way. Be careful not to drop tools or anything else. Be careful your mask doesn’t get snagged on any equipment, fence, branch, or anything else and get pulled off. There may be security cameras. -Don’t let security cameras see you with your mask off and don’t let security cameras see what car you drive. Be careful where you park. -Don’t let security cameras of people see you with gear or a backpack when getting out of your vehicle, and don’t put your gear on until you’ve left your vehicle. -If you drive, leave the keys hidden somewhere near the vehicle. If one person has the keys and gets caught, everyone is stuck. -Be extremely careful not to leave the keys behind. They will be found and they will be used against you. Keys were a large part of the prosecution of two ALF activists. -If time permits, turn off all vehicle lights, flashlights, etc. and wait for about twenty minutes to get your eyes used to the dark. -When fences are involved, be very careful not to make noise. Fur farmers (and likely others) put aluminum that makes a lot of noise on the top of their fences so that if activists climb the fence, they will attract attention. Wirecutters can be very useful. -Peak around corners, etc. before you enter a room or hallway or pass by a room or hallway, even if you’re positive you’re the only one in the building. Caution is key. -If you see someone, abandon the mission. It’s not worth getting caught to save a few animals when that means that you can’t save more in the future. -Watch for security cameras, alarms, trip wires, etc. This should be done while scouting, but keep watch for them during the action in case you missed something. -Don’t talk during illegal actions unless absolutely necessary (security cameras and witnesses can catch your voice), and if you do, don’t use the same slang or unique words you usually do, disguise your voice, and don’t call people by names. Choose code names (which may be regular human names, other words, letters, or numbers) before the action. Never use these names outside of the action, and choose new names for each action. -If your action involves a lot of people, making it hard to remember fake names and hard to recognize people, you may want to tape a number to each person’s shirt. This way if you need to address someone quickly you can see their number and address them by it. Just be sure you know your own number, and don’t let the numbers be found after the action. -If you use a camera and/or camcorder (which is not advised) don’t let it be caught on security cameras–it can be used to identify you. If you use more than one device, don’t put out any photos that your camcorder is visible in or vice versa, etc. -Do everything at once. If you, for example, cut a hole in a fence while scouting, there will be heavy surveillance of the area for a long time. -If you have to pass by the place of action (avoid this if at all possible) don’t do anything suspicious like slowing down or even smiling as you pass. -If you have a cut or scab or other injury, make sure you don’t get blood on anything–it can be DNA traced. Be very careful not to get cut on anything (branches, fence, equipment, etc.) during the action. If blood does get on anything, clean it as well as you can. -Be careful about leaving physical evidence, such as a used spray-paint can with your fingerprints or car/house keys. These things can be, and have been, used to prosecute activists. -If an animal who you are rescuing bites you, etc., be forgiving–obviously, the animals who are on factory farms, in labs, etc. have every right to hate and fear humans. If getting bitten is a risk, wear thick gloves so you don’t leave DNA (blood). -After the action, regroup if the action involved splitting up. Make sure everyone is there, try to find anyone who is missing, and if possible destroy incriminating evidence. -If things go wrong and you have to run, try to stick together, but not if it means wasting time finding each other or regrouping. Focus on where you are running to, as it is easy to get disoriented, change direction as you run, and get lost and waste time. Decide before the action where you will run to if you get split up. -If you can’t get to the meetup place, run as fast and far as you can. Get out of the area. Get rid of your clothes, supplies, etc. (in separate dumpsters if possible). If you have an emergency number (see “Planning The Action”), call it. If you get hurt while running from police (i.e. twist an ankle) ignore the pain and keep running fast and hard. You are Vegan and you are strong. A little pain is nothing next to getting caught and going to jail. -If you get split up and don’t link back up, don’t go home and call each other right away. You’ll want to know if your friends escaped, but calling right away would make it obvious. Also, when you do talk, act like you’re just calling to chat. Avoid saying things that link you to the action, like “are you alright?” or saying that you’re okay. It’s too obvious. Don’t call until you’re calm, because if your voice is shaky that can also be evidence against you. -Burn what you can. The most important things are shoes, backpacks, etc. which are fairly unique, as opposed to sweatshirt and sweatpants which are basic. Remember that caution is key, and clothing will have traces from the “crime” scene, so burn everything burnable, and dispose of the rest. -Debrief. Discuss what went well and what could be improved next time. Make sure you are talking in a secure location, with no phones or other electronic devices nearby. Be outside and as far as possible from buildings, vehicles, and other human objects. Do this within a few days of the action if possible. -Wash all supplies, gear, and clothes as soon as you can. Burn what you can. Wash anything you dispose of prior to disposing of it, so that you don’t leave fingerprints or DNA. -If you read your own communique (and refrain from doing so until a while after the action), don’t do anything to give yourself away, especially if you have a webcam (many computers have built-in webcams). Webcams can be hacked and phones, computers, etc. can be tapped, so if you smile, etc. when reading your cell’s communique you might give yourself away. Think about how and when you could get caught. You could get caught before the action, either because your planning is overheard or because you get caught on a security camera. Before the action, you can’t be seen or caught on any security cameras without your clothes on, so make sure you’re in a safe spot when you get dressed. Also, don’t get dressed until as late as possible. If you get pulled over by the police while driving, you don’t want to be wearing a ski mask, or even solid black clothing. Put wirecutters and other supplies in hidden places such as under seats before you leave because if you get pulled over you might not have time to hide them. Another danger is your vehicle being seen or caught on security cameras. If you are seen getting out of it in your mask/dark clothes, or carrying your clothes, you can obviously be traced. If possible, don’t put your car anywhere near the place of action. Don’t speed. Make sure license plates are current. Check ahead of time that headlights, tail lights, and turn signals work, and use them. Don’t give the police any other reason to pull you over. Use a vehicle with NO bumper stickers. Don’t make any stops along the way unless absolutely necessary. Make sure you aren’t being followed by police or FBI. Use side roads and make lots of turns in order to minimize witnesses. Do not drive your vehicle very close to the place of action; it is too suspicious. It could be seen by law enforcement, random people, and security cameras, and government puts tracking devices on activists’ vehicles. If the route is unfamiliar to you (which it should be, because you’ll be taking remote side roads) bring a detailed road map. The map should be of a large area, such as a whole state, because if it’s of a more specific area it is too suspicious. Do NOT put any markings on the map. If possible, park a few miles away and walk. Don’t leave your masks, tools, gloves, etc. laying on the seats where the police can or security cameras can see them–keep them under something or in the trunk. You could get caught during the action. This could be by security cameras, DNA tracing, or the police (or anyone else) catching you during the action. You could get caught after the action. Similar to before the action, you could get caught taking off your clothes or getting into your vehicle. Again, take off clothes as soon as possible so you have less of a chance being seen in them, but make sure there’s no people or security cameras around when you undress. You could also be caught if your clothing/equipment is found in your house or car. Again, don’t speed or give the police any other reason to pull you over and don’t leave your gear lying in the open. Keep your sweatshirt, ski mask, etc. with winter clothing. Keep your wire cutters with other tools. Etc. If you need to buy extra tools so it’s not suspicious just having wire cutters and a sledge hammer, do it. If you need to buy extra ski clothes, do it. Better to spend a few dollars than to go to jail! You could also be caught talking about or reporting the action. Never talk about an action after it has taken place, and be extremely cautious if you report your action to Bite Back or NAALPO. The government is good at hacking, tapping, and tracing. Diaries, plans, manuals, stuff left at the action by accident or on purpose, communiques, stored information on computers and paper trails from the use of bank cards and the hire or purchase of equipment. Avoid these by always paying cash and destroying or removing everything relating to the action before you go on it. Don’t take anything traceable to you (like ID or engraved jewelery) on actions. Consider using false ID if you are hiring gear. If you must use a computer encrypt all files with PGP. Mainly just fingerprints and DNA, but also includes matching up of tool usage, soil samples and footprints. Watch out for prints on things that aren’t immediately obvious like torch batteries. Ensure everything is fingerprint free before the action and wear gloves and hats. Dispose of traceable items like clothes and tools as soon as possible post-action. People being able to identify you or your vehicle, not just at the action, but also on the way there, or even just leaving your house at a connected time. Includes images from CCTV or police video/stills teams. Plan meet-ups, routes to the action, etc. avoiding cameras and nosy neighbours. Disguise yourselves and wear indistinguishable clothes. Don’t tell people what they don’t need to know. Includes phone taps, post and email interception, listening devices and following you or placing tracking units in your vehicles. Conducted by numerous, and sometimes competing, state and private agencies. Operates at various levels from the fairly routine, which shouldn’t effect your activity that much, through to ones where everything you say and do is listened to and watched. Avoid talking or communicating about anything action related in your home, over email or on a phone. Look out for cops following you on actions. It is a good idea to have someone observing legal protests. Their purpose is to record what the police do. -Always bring a pen and paper to legal protests and note what the police do. Write down their names and badge numbers. If they approach you, ask for their card, and if they refuse, ask for and write down their name, official title, address, and phone number. Write down time, date, what happened, and exact words spoken. -If you have a designated observer, the observer should bring a video camera. (If you do not have a designated observer, you or someone else should just in case it is needed.) Sometimes police do illegal things at protests such as harassing protesters, and observers can not only record this but will deter the police from brutality. -Observers should dress professionally. This makes them more credible and makes the police more cautious. -If the observer is a representative of a media outlet, the observer has a stronger legal foundation and is less vulnerable to police. Laws in some states prevent people from videotaping the “audio” part of an event. This law doesn’t apply to media reporters. -If the observer is a media representative, he/she should consider applying for a press pass which gives many privileges that normally wouldn’t be allowed. -At large demonstrations, you might want several trained legal observers and even attorneys. -Legal observers should not be involved in the protest, should not be a speaker, and should in no other way do anything but observe and record. -If approached by police or media, be clear and direct that you are there as an observer only and don’t want to speak to them. -A legal observer should bring a video camera, clipboard, plastic bag in case it is raining, several pens, note paper, complaint forms, and if possible, a shirt that identifies the observer as such. -In order to maintain credibility, a legal observer should not engage in the protest or demonstration, any sort of activism, violence, threats, insults, property damage, etc. -If the police are physically harming protesters, the observer should ask them politely so stop rather than physically stopping them, if possible. -The legal observer is more likely to be arrested than protesters, so should be free of drugs and weapons and should have identification. -If there are enough observers, they should work in teams of two. -Observers should be as close to the action as possible. -Even if there are no legal observers, it is a good idea for someone to video record and take notes. –Names, badge numbers and other identifying characteristics of all law enforcement and government agencies present. If they refuse to supply you with these, or if they are not visible, make note of these. –The manner in which the officers are identified. If there is no identification supplied, make note of this. –Who is in charge. If they refuse to tell you who’s in charge, make note of this. –Warnings given, who gave them, time given. –License numbers of private cars moving through the demonstrations. –Name(s) of person(s) arrested. Also ask the person there birth date so you can track them. –Any unusual circumstances, force used, injuries, sweeps. –Witness names, address and phone numbers. –Names of people with cameras. –Always track time in your notes. –Note other facts that seem important. -Keep this information in a secure location. If the police break any laws and you press charges against them, it may not be until months afterward that you need the notes. Keep a copy and give a copy to a legal coordinator. -Bring a video camera. This is one of the most effective tools against police brutality. -Use a cheap camera, as police have been known to hit them with batons. -If possible, get a video camera with a light. Some of the worst police brutality occurs at night, and if they see the light of a video camera, they are much less likely to use excessive force. -The police will commonly make arrests for things like jay-walking, and video recorders deter them from doing this because they don’t want to be documented making such a trivial arrest. -If it is a large demo and you can work with friends, have a runner (someone who gets tapes to a secure location as quickly as possible if police brutality is recorder, so the police cannot take it). Have a buddy who watches for nearby police, police activity the observer misses, and anything else the observer should be aware of. Have a reporter who can act as a witness or provide information to media. -You might want to work with another recorder. One of you will go in close to the action, and the other will hang back as and watch the recorder who is closer in. This is for added security. There is also the option of two recorders on opposite sides of the demonstration, watching out for each other and covering the whole demonstration better. -Bring an extra tape in case you record an incident and your runner takes the tape. -If working with an attorney, label your tapes “Attorney work product, privileged and confidential” which makes it harder for the police to use. -Keep the video tape on the whole time. Police will arrest people for things like standing on the curbs, and these charges have often been dismissed because video footage proved that the person was not where the police claimed. Gaps can be used to attack video footage. -Make sure the police know they are being recorded. If your recorder has a light and it’s night, turn it on. The police avoid arresting people for trivial reasons if they know that they are being recorded. -If the police are making an arrest, record the arrest, and it is very important that the police know you are recording them. In one situation, police were seen throwing a protester between them to make it seem as if the protester was resisting arrest. They will also circle the arrest to make it harder to record. They hate being recorded doing this things, so make sure they know you’re there. -Ask the arresting officer for name, badge number, and supervising officer. This will also make them less likely to arrest and to be brutal in arrests. -If the police are circling someone, get in as close as possible or hold the camera above your head and angle it down. -If you observe the police doing something very forceful or brutal, try to get your video footage aired. This will make the police less likely to repeat the actions. Only give copies of the tape to media because they might be friends with the police, make sure there is only what you want shown on the tape, and if they pay for it, read the contract to make sure they aren’t stopping you from showing it elsewhere. Note: This section is written from a united states perspective. International laws vary. This section applies regardless of how much evidence the government has against you, and regardless of whether you are suspected or arrested for legal protesting, direct action, or anything else. This also applies whether or not you are “guilty” of what you are convicted of. -Know your legal rights. Lots of great info on the ALF site and on the National Lawyers Guild site. -Whether you are involved in underground or aboveground direct action/activism, be prepared to be interrogated, to have your house raided, etc. Don’t leave things lying around your house or vehicle if you don’t want them to be discovered, and know what to say if the police/FBI come to your house (with our without a warrant) or if you are approached or arrested. -Make sure you have the mental ability to keep silent, even under intense pressure and/or threats. If you are threatened by law enforcement, it’s most likely an empty threat. –Don’t say anything about friends. Don’t give names. Don’t betray your friends, the movement, or the animals. -If you are arrested but your friends aren’t, deal with it. DO NOT TURN THEM IN. Although you might get a lighter sentence, it’s not worth it–not when it means your friends are jailed, they can’t help animals anymore, and they will permanently be on the FBI’s records. You also may not be given a lighter sentence for snitching even if you are told that you will. Don’t do something that you will regret later. -Do not believe the police, FBI, or other law enforcement about ANYTHING. They will lie to you. -If you are approached by law enforcement and/or caught, don’t panic. Remain as calm as possible. -The first thing to do is say “Am I free to leave?” If you get any answer except for a definitive “no”, gather your things and leave without saying anything else. -Lying to police or FBI is a federal offense. Saying something contradictory (such as “no, I don’t know anything about that raid” and “yes, I read about it in the newspaper”) out of fear or forgetfulness or clumsy wording is grounds for this, and they might try to trick you into doing this. -Do not try to outsmart them or trick them or lie to them. It is way too easy for even the most skilled people to get caught in a lie, accidental or intentional, and if you talk now but refuse to talk about your knowledge of an action later, this could be held against you. If you talk, you’ll talk your way into jail. -Even if you don’t say anything that they can manage to misquote and use against you, you’re better off remaining silent. Which would you rather an FBI agent wrote in his log book: “Spoke for 20 minutes to the [your name]” or “[Your name] had nothing to say”? –Don’t admit to anything, don’t say anything about or mention your friends, and don’t engage in seemingly harmless information. ONLY give name, address, and date of birth. DO NOT GIVE YOUR SOCIAL SECURITY NUMBER. -They may threaten to give you a grand jury subpoena if you don’t talk. They might give you one anyway, and anything you say now will allow for more detailed questions later. If you are given a subpoena, call a lawyer immediately or contact the National Lawyers Guild. Tell the National Lawyers Guild and other activists/friends about your subpoena. Don’t try to deal with it alone. -Anything you say will be misquoted and used against you and other activists. If the FBI asks if you’ve heard of a mink liberation and you say “I read about it in a newspaper” and they ask if you know anything about the ALF and you say “I’ve heard of them”, they will report “claims to know ‘all about the ALF’ and is familiar with the recent mink liberation”. -If they attempt to search you without presenting a warrant, say “I do not consent to a search.” If they still attempt to search you, do not physically resist for your own safety. You may be able to sue them later. –“If you are guilty, why don’t you talk?” They want to make you try to defend yourself, but WHETHER OR NOT YOU ARE “GUILTY”, you are better off NOT TALKING. And if you answer some questions, then stop talking later, they will use that as evidence against you. –“We already have your friends, it’s only a matter of time before they reveal your involvement and then you’re in bigger trouble” or “If you don’t cooperate, your friend is getting a longer jail sentence.” They very likely don’t have your friends, don’t have any proof/evidence your friends were involved, or even proof that you were involved. –“Your friend revealed your involvement. You have no reason to be loyal to him. Tell us what he/she did and we’ll give you a lighter sentence.” Your friend probably didn’t reveal anything about you–the police want to turn you on each other. They likely haven’t even captured any of your friends, and likely don’t have solid proof against anyone, even you. –“Your friends set you up. They are laughing at you for getting caught.” Again, a lie. –“If you don’t talk now, we’ll come back with a subpoena.” Usually an empty threat. They approached you without a subpoena because they don’t have enough evidence to get one. If you talk, you might give them the information they need to get one. And if they do get one, which is unlikely if you stay silent, there are ways to legally/politically fight it. (If you are in this situation, contact National Lawyers Guild. –“We can’t help you until you start helping us.” Just another lie and tactic to get information. –“We know you didn’t do anything, we just want to clear it up.” or “We know it was all your friend’s idea.” Yet another lie. They probably didn’t even catch your friend. –“Talk and we’ll go easy on you. Talk and we’ll give you a lighter sentence, or no sentence.” These are lies. They have lied, they do lie, and they will always lie. They are legally allowed to lie. They will do anything to get information out of you. –“We already have all of the information we need to convict you.” If that were true, they would already have convicted you. –“Give us information about your friends and we will give you a lighter sentence or no sentence.” If they try to get information about other activists, SAY NOTHING. You do NOT want to give them information about other activists, as this could get them arrested, and probably won’t do much for you even if they say it will. If other activists go to jail because of you, not only will you feel guilty for sentencing a friend to jail, but the entire Animal Rights community will never again accept you and you will be stopping your friends from saving countless animals. (More total jail time will be spent if you give away your friends.) Giving out your friends also proves that you are “guilty” while if you don’t give out any information, you will probably have your charges lifted. –“You are intelligent, you have a good future, you seem like a good kid. You don’t want to destroy your life like this, do you?” THEY DO NOT CARE ABOUT YOU. THEY JUST WANT YOU TO TALK. Say nothing. Again, you will probably go free because they don’t have enough information against you. –“The extremists hurt your movement. They turn people off to AR. Tell us who they are.” You should know that extremism helps–after all, it is direct action and extremism that freed the Jews, freed the slaves, and won equal rights for Africans and for women. -They will play good cop/bad cop. One will use threats, and the other will promise to lighten your sentence, etc. The bad cop might act so angry that he looks like he is about to use violence. The good cop tells the bad cop to leave to calm down. The good cop will say that the bad cop will come back to make good on his threats and that you should admit guilt now. ALL LIES AND EMPTY THREATS. -They will ask you the same question multiple times, say “didn’t you say that … ?” and try to poke holes in your story. -They will also try to befriend you and make you feel rude by not answering questions. This goes for police and FBI, and tends to occur at above-ground protests. Tell them you have nothing to say and ignore them, even if you are doing nothing illegal. -They will target you when you are tired because people are more likely to give out information if they are tired. -They will offer you drinks, because people are more likely to give out information if they have to go to the bathroom. -The FBI is also known to hire agents who will pose as ARAs and gather information about underground activists. Be cautious. Be extremely careful of who you trust. -If you are contacted by law enforcement at home, you don’t have to give any information. If they call you, tell them you have nothing to talk to them about, never call you again, and hang up. -If they come to your house, say “am I being detained?” If they say no, say “am I under arrest?” If they say no, say “please leave me alone, you are harassing me.” If they don’t leave, close and lock the door and ignore them. If they want to search your house without a search warrant, don’t let them. They will use social engineering in attempt to get you to search without a warrant. Just say no. If they have a warrant, follow them and take notes of everything they do. Do not physically resist search or arrest, for your own safety, even if they don’t have a warrant. -They might just wave a piece of paper. Demand to see the warrant. They legally have to let you read it. Warrants must be signed by a judge, and specifically describe the place to be searched and things to be seized. -Police and FBI are allowed to enter a house without a warrant if they witnessed the “crime”. -If a roommate or co-worker allows them to search your house or workplace, tell the authorities that you do not consent to the search and are going to contact an attorney. -If they do not present a warrant, you only have to give your name and address. -If police attempt to arrest you, decide whether to resist or go along with it. If you are unmasked you should probably go along with it. If you are masked (whether taking illegal direct action or above ground protesting), you may choose to fight back and run, especially if you and your friends outnumber the police. If you choose to do this, you may be charged with assault on police or resisting arrest. Make sure the police don’t manage to pull off your mask or bandanna. Get out of the area as quickly as possible. They will be looking for you. -If you and your friends resist and you get caught, shout out your name (make sure to use your fake name/number, which should be picked prior to the action!) so your friends know who was caught. Make sure your friends also know to do this. Try to remember names/badge numbers of arresting officers. You will probably be taken to the nearest police station. If possible, get rid of tools, gloves, and masks here, but not if it means leaving them where they can be found. Also, (politely) beg to go to the bathroom, wash stains, cuts, shoes, and other things that can be used to identify you. -If you are arrested, stay calm. Your charges will very likely be dismissed, and you will be much better off and less likely to give incriminating information if you stay calm. Your fear and anxiety are weaknesses that the police will exploit. Over time everything will clear up in your mind: Just remember, STAY SILENT. Say you want to talk to a lawyer, and say nothing more (besides name, address, and date of birth) until talking to your lawyer. DO NOT SAY ANYTHING ABOUT YOUR FRIENDS. If you are “guilty” of what you are convicted of, do not tell your lawyer. Plead “not guilty” to all charges, whether or not you are guilty. -If you are arrested you will be taken to a custody desk. You need to give name, and if under age 21, date of birth. If over 21, not giving date of birth may delay your release. The arresting officer should then tell you why you were arrested. You will be searched and your possessions taken, and you need to sign for them. Read the list carefully to be sure that they have not added or removed anything from the list. This is the only thing you should sign. -You have the right to know why you were arrested and the right to inform someone of your arrest and the right to speak to a solicitor of your choice. Do NOT use the duty solicitor. -You will probably be put in a cell for hours while they decide what to do and check if the name you provided is accurate. They will send police to your given address who will then ask if you live there. Prepare for an interview. -If they interview you, it’s probably because they don’t have enough evidence to charge you. Say “no comment” to everything. If you accidentally say more, stop right away. -If they try to make you fill out questionnaires or anything else, refuse. -If arrested, you do not have to reveal HIV status and should refuse a blood test until you’ve been brought before a judge and have a lawyer. -If arrested, you have the right to make free local calls to a lawyer, a bail bondsman, and a friend or relative. Demand this right. -If charged, you will be bailed and released. The police are allowed to use force to take fingerprint and DNA samples. They are not allowed to use force to take a picture, but will try to take one without you knowing when you first arrive or leave your cell. -If you need a doctor while in custody, see one and get injuries recorded. If you were assaulted by police, go to the hospital as soon as you are released. Make an appointment to see a solicitor and see if you can sue the police. -If you go to jail, as soon as you arrive tell the workers that you are Vegan so they can provide Vegan food. If your lawyer says that you will get a lighter sentence by talking, get a new lawyer. Remember that others have been through the same thing and survived. Think about the action (if you took direct action) and the animals you saved, but don’t speak of it. Think about other activists and their victories and anything else you can draw strength from. -You may want to consider using a false name and address if you are interrogated and/or arrested. This is illegal so be careful. If you do this, make sure the person living at the address you use knows what name you are using. A note by their phone will help them remember. Again, this is illegal. Use this tactic with much caution. -If you admit to an action (which is NOT recommended), act like you are very sorry and apologetic. Say you’ve learned your lesson and won’t do it again. This will very likely get you a lighter sentence. -If you are at a legal protest, don’t tell law enforcement anything. They might ask how long you have been protesting, who is in charge of the protest, etc. They also might be friendly about this. Tell them nothing. -Remember: Stay calm, exercise your right to remain silent (answering all questions with “no comment”, other than name, address, and birthdate) and if arrested, ask for an attorney. Plead “not guilty” to all charges. Sign nothing except for your possessions list. Better to make the police mad by being quiet than by giving them information that can be used to sentence you and/or your friends. -The most important thing is not to say ANYTHING about anyone else. No matter how innocent it might seem, anything you say about someone else, or an action, could be used to arrest your friends. This means they go to jail and can’t save any more animals for years. -Read NLG’s guide to Operation Backfire, CLDC’s “Know Your Rights” file, ALF’s “Your Rights” article, and Resist!ca’s “If An Agent Knocks” file for further information on your legal rights. -If you want more information on legal issues, contact National Lawyers Guild, American Civil Liberties Union, and Midnight Special Law Collective. Here is exactly what seasoned attorneys suggest most strongly that you do if approached by an FBI agent, other Homeland Security or other law enforcement officer: who wants to “just chat: ” Say politely but firmly and without hesitation, “I have nothing to say” and then hang up, walk away, close the door. Do not be coerced or charmed into helping them by “just answering a few easy questions.” If anyone tries to detain you, ask “Am I under arrest?” If they cannot say “yes,” you are free to go. Walk or drive away. If they ring or knock or approach you again, say “Please leave me alone. You are harassing me.” Say nothing more. It seems rude, but law enforcement officers are used to hearing it and won’t take it personally. They will go away. If you converse with them you will be called/visited again. In light of the constitution, you have the freedom to associate with whomever you choose, and the right to say what you believes in without fear of reprisal, and they have no right to harass those who object to exploitation, war, racial discrimination, animal slavery and the like. DO NOT COOPERATE WITH GRAND JURY. Don’t say anything to grand jury, whether you are “guilty” of what you are convicted of or not. Don’t tell the truth and don’t lie. Don’t even say things that you know can’t harm you. The government is great at using little things against you. Also, you’ll probably go to jail for not cooperating with grand jury (but will still be better off than if you cooperate; the longest sentence you’ll get is one year, as opposed to many years if you are accused of something). They are allowed to jail you in order to get info out of you, but not as punishment. Therefore, if you say nothing at all, not even harmless things, you’ll be more likely to be released early. Talk only to your lawyer, and if you are “guilty” of what you are convicted of, do not even tell your lawyer. If your lawyer suggests you talk, give a new lawyer. When talking to your lawyer your conversation is supposed to be private. However, that doesn’t mean it is, so assume the police, FBI, and judges are listening (via wiretap, camera, or any other means). Your fifth amendment right to remain silent and right against self incrimination are taken away in grand jury. Use those rights anyway, and refuse to cooperate. See links under “further information” for more information. Prior to becoming involved in direct action (or protests where you risk arrest), prepare yourself physically. Work out regularly. Don’t use drugs or alcohol. Make sure you’re in very good health and have a lot of strength, endurance, and agility. Train yourself to always have an alert mind. Make sure you’ll be able to outrun and outmaneuver the police or FBI if necessary. Practice using equipment such as wirecutters and lock picks. Practice parkour, such as climbing and jumping fences and walls, kong vaulting, jumping streams, and swimming across rivers. Practice anything else you can think of. There are lots of YouTube videos that can show you how to do vaults, scale walls, etc. Get to the point where you can scale large fences and walls gracefully and quickly–faster than law enforcement will be able to. Even things as simple as walking/running outside, at night, with a mask, headlamp/flashlight, and optionally backpack/gear is good to practice. (Just be sure no one sees you; preferably do this in the country.) Don’t let anyone see you practicing suspicious things like using wirecutters; this should be done inside, in a garage, or in the country. If your life begins to revolve around activism, you may want to consider being homeless (whether truly homeless or staying with a friend). Without an address, phone, or house, you’re harder to find. Don’t rely on this to remain anonymous; simply use it as an added precaution. Direct action is nothing to take lightly. The moment you carry out your first action you are at risk of being arrested. Direct action is very demanding, physically and mentally. Are you in top physical shape? If you were being chased by a police officer, could you outrun him? Could you scale a barbed wire fence? Living under the constant stress of possible arrest can take its toll mentally as well. ALF activists should also remain drug and alcohol free, as these things decay physical and mental ability, give the police another reason to investigate you, and waste money better spent on supplies. Veganism is obviously encouraged, as it is both morally responsible, and will better your physical condition. Some ALF members will also limit their association with mainstream animal rights groups, as to remain less visible to police investigations. 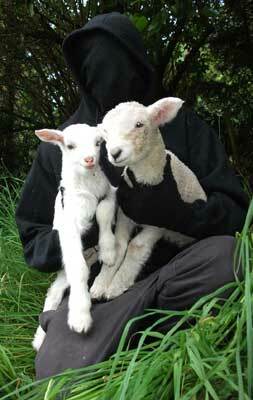 Once you make the decision to get involved in the underground Animal Liberation movement, there is no turning back. You will have a very hard and stressful life, living under a constant threat of interrogation or arrest. You will also be saving the lives of countless innocent beings. Choose wisely. Some ALF pages don’t load correctly in Firefox. If you are having problems, use a different browser. If you plan to get involved with the Animal Liberation movement, re-read this guide. Read it 10 more times. Read every article on the ALF site, and the pages I linked to in “Further Reading”. Re-read the good articles. Re-re-read the good articles. Read the best articles 10 more times. Make everyone in your cell do the same thing. It’s better to spend a few hours reading and memorizing (or even a week of solid research!) than to spend years in jail (not helping animals)! Note that people have been arrested for above-ground protesting, so this information will be helpful to all Animal Rights Activists, whether they fight for Animal Rights through legal or illegal means. This guide is not copyrighted. Activists are free to reproduce this guide in whole or in part, with or without giving credit, for the furtherance of the Animal Liberation and Earth Liberation movements. However, enemies of the Animal Liberation and Earth Liberation movements (governments, animal industries, and pro-torture activists) do not have permission to use this guide to in any way harm the Animal Liberation and/or Earth Liberation movements. Stay out of our way, murderers. Disclaimer: I do not partake in or condone illegal activities, nor am I a member of any organizations considered by the FBI to be terrorist organizations. This guide is written and published for informational purposes only. God bless all you do !! ALF. The only TRUE religion!